My JNU friend Atif Rabbani has been beaten up in Muzaffarpur town, Bihar. As the information has reached us so far, the attack on him took place on Saturday. He has sustained injuries. But he is said to be safe. Saturday’s attack is seen as a fallout of an earlier incident of misbehavior and intimidation. Last week, some persons, collecting donation for pooja, misbehaved with him and also gave him threats. They were forcing him to pay a huge amount. Note that Atif Rabbani is yet another victim of goonadaism and physical attack at university in Bihar. A few months back, Sanjay Kumar, also a JNU scholar who was teaching at Mahatama Gandhi University, Motihari, was severly beaten up. Kumar got seriously injured and had to be rushed to AIIMS for treatment. These incidents have sent schoking waves among teachers and students, particularly those who are alumni of JNU. 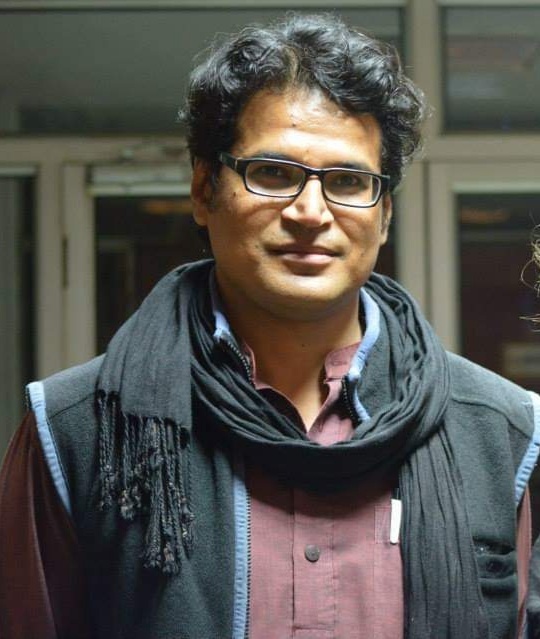 Note that Rabanni, a PhD scholar of JNU, was selected in 2016 and later posted as an assistant professor in Hajipur, Biha, situated on the bank of the Ganga. A great lover of books and regular contributor to several newspapers, magazines and web portals, Rabbani was staying in Patna and he used to visit Hajipur every day. In the month of December, 2018, he was sent to Muzaffarpur as a deputy registrar at B. R. Ambedkar Muzaffarpur University. Since December, he has been working in Muzaffarpur where this horrible and highly condenable incident has taken place. In the name of religion and donation (chanda) common people are often harassed. As a resident of Bihar, I have seen how donation in the name of puja is not collected but literally extorted from people. The fact that Atif Rabanni, a deputy registrat in a university, is not safe, shows the complete failure of law and order in the state. Last week, some people not only misbehaved with him but also forced him to pay a huge amount as donation. When he said that he would pay the donation another time, he was threatened. Everyone in JNU or those who know him can testify that Rabbani Bhai is an epitome of secular values. The state government instead of welcoming such a gem, is unable to give him security and protection from goons.Today the attackers enjoy so much impunity that they did not hesitate to attack him at a public institution. With no help around, he had to run away to save his life. As his close friends said, he remains schoked. This incident demands not only condemnation but also agitation. This is not only an attack on Atif Bhai but also on epitome of erudite and progressive scholarship and a commitment to spreading education and awareness among those who they need them the most. Let us raise our hands collectively against this violence. Let us renew our pledge to fight out the communal and castiest forces, who continue to be backed up by the police and administration. University academics, and women among others, should be advised not to visit Nitish-ruled Bihar. While academics are assaulted by state-protected goons, girls are trafficked by women’s rehabilitation homes run by Nitish Kumar’s political protegees. Highly condemnable incident. One is familiar with Mr Atif Rabbani’s name and writings for a long time and if such a person – who holds an administrative post – can be attacked by anti-social elements then one can imagine the life and security of ordinary people in Bihar.